An examination of the many complex aspects of game audio, from the perspectives of both sound design and music composition. A distinguishing feature of video games is their interactivity, and sound plays an important role in this: a player's actions can trigger dialogue, sound effects, ambient sound, and music. And yet game sound has been neglected in the growing literature on game studies. This book fills that gap, introducing readers to the many complex aspects of game audio, from its development in early games to theoretical discussions of immersion and realism. 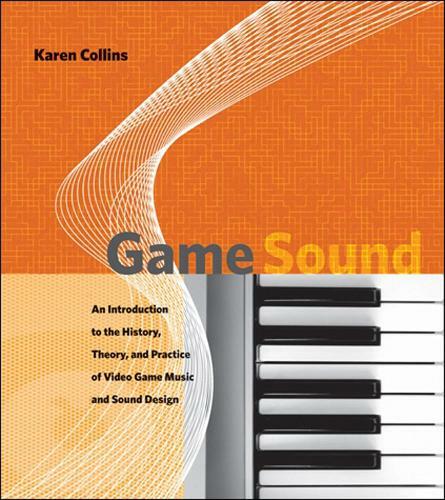 In Game Sound, Karen Collins draws on a range of sources-including composers, sound designers, voice-over actors and other industry professionals, Internet articles, fan sites, industry conferences, magazines, patent documents, and, of course, the games themselves-to offer a broad overview of the history, theory, and production practice of video game audio. Game Sound has two underlying themes: how and why games are different from or similar to film or other linear audiovisual media; and technology and the constraints it has placed on the production of game audio. Collins focuses first on the historical development of game audio, from penny arcades through the rise of home games and the recent rapid developments in the industry. She then examines the production process for a contemporary game at a large game company, discussing the roles of composers, sound designers, voice talent, and audio programmers; considers the growing presence of licensed intellectual property (particularly popular music and films) in games; and explores the function of audio in games in theoretical terms. Finally, she discusses the difficulties posed by nonlinearity and interactivity for the composer of game music.